Below you can view all the condos for sale in the Park At East Paces subdivision located in Atlanta Georgia. 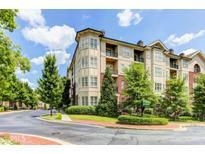 Listings in Park At East Paces are updated daily from data we receive from the Atlanta multiple listing service. To learn more about any of these condos or to receive custom notifications when a new property is listed for sale in Park At East Paces, give us a call at 404-998-4063. 10 + Ceilings, Large Walk-In Closets. Lovely Entry Foyer. MLS#8563961. Compass. Plenty Of Closets. Lovely Entry Foyer. MLS#6536946. Compass. This Is The Most Desirable Floor Plan In The Community And Features: Deeded Storage Unit, Corner Unit, Dual Master Floor Plan, Hardwood Floors, Granite Counter Tops, 42" Cabinets, 10' Ceilings, 9' Doors, Robust Trim Custom Trim Package, Newer Stainless Steel Appliances, Plantation Shutters, His/Her Custom Walk In Closets, Office, Fireplace And Much More! MLS#8531104. Keller Williams Rlty. Buckhead. This Is The Most Desirable Floor Plan In The Community And Features: Deeded Storage Unit, Corner Unit, Dual Master Floor Plan, Hardwood Floors, Granite Counter Tops, 42" Cabinets, 10' Ceilings, 9' Doors, Robust Trim Custom Trim Package, Newer Stainless Steel Appliances, Plantation Shutters, His/Her Custom Walk In Closets, Office, Fireplace And Much More! MLS#6508780. Keller Williams Buckhead. 2 Cars Of Covered Garage Parking. Bring Offer! MLS#8529001. Re/Max Around Atlanta. A Must See Home Before Purchasing A Condo In Buckhead. MLS#8526844. Re/Max Around Atlanta. A Must See Home Before Purchasing A Condo In Buckhead. MLS#6127203. Re/Max Around Atlanta Realty. 2 Cars Of Covered Garage Parking. Bring Offer! MLS#6504156. Re/Max Around Atlanta Realty. Hurry As This One Is A Winner! MLS#6503155. Berkshire Hathaway Homeservices Georgia Properties.